Strong heavy-duty K - resin plastic hangers feature a space-saving flat body, polished steel swivel hook, and a set of polished steel clips. Hooks designed to hold size hanger markers, sold separately. Search size markers for our complete selection. 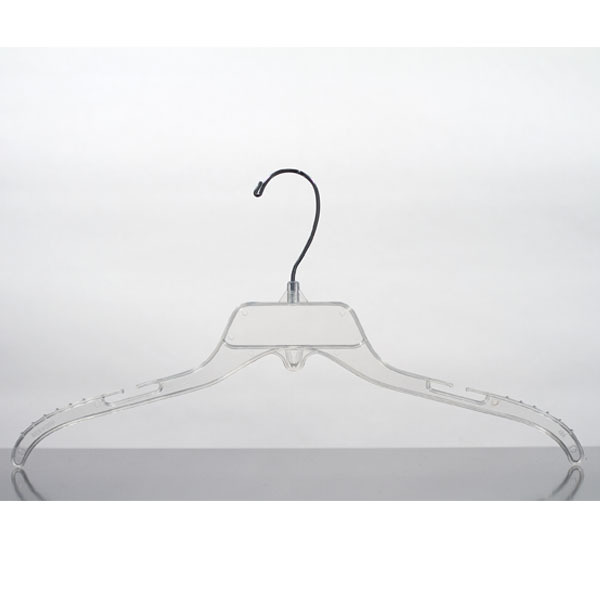 High quality, low cost hangers will last for years.Transform these break resistant hangers into slip resistant hangers by adding non-slip foam, item 6561.